A good turnout is expected at Thursday’s first-ever "Florida Deregathon," a state-sponsored summit aimed at identifying and eliminating "unnecessary regulations" that hurt small businesses and licensed trade workers. According to the agenda, each of the licensing boards will suggest proposed changes to licensing laws affecting their occupations that can be "immediately" implemented by lawmakers after the state Legislature convenes March 5. 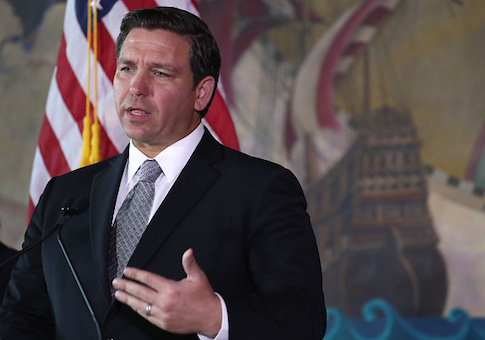 "Florida is one of the most attractive states in the nation to do business, but unnecessary government regulations create a burden upon our businesses, both small and large," DeSantis wrote. The new governor confirmed he was serious about auditing and streamlining business and occupational licensing regulations when he appointed "champion of deregulation" Beshears as DBPR secretary. Beshears, a Panhandle Republican who won a fourth House term in November before accepting DeSantis’ DBPR appointment, sponsored a bill in 2018 to deregulate occupations such as nail polishers, boxing timekeepers, and hair braiders while streamlining those for barbers, nail specialists and business organizations such as architecture services and interior designers. Beshear’s House Bill 15 passed the House in a 74-28 vote but never made it out of any of the three Senate committees it was assigned to. "As a business owner and entrepreneur, I know from experience that needless regulations act as a damper on Florida’s economy and disproportionately affect small businesses," Beshears said in a statement. "I look forward to hearing from Florida’s Professional Licensing Boards about ways we can eliminate burdensome requirements and craft a common-sense approach to regulating business in the state of Florida." On Wednesday, Beshears said in a tweet that the event is shaping up to be "the lead occasion within the nation for how one can decontrol industries by listening to, from, all boards and gamers." IJ Florida managing attorney Justin Pearson in a series of tweets posted "in honor of Florida's upcoming #Deregathon," cited four reasons why deregulation is necessary across a broad spectrum of licensed occupations nationwide as well as in Florida. "First, occupational licensing laws kill about 2.8 million U.S. jobs every year," he said. "Second, occupational licensing laws cause U.S. consumers to be overcharged by about $203 billion every year. It is basically legalized price gouging created by the government." Third, Pearson said, "for the overwhelming majority of licensed occupations, occupational licensing laws have no positive impact on safety or quality. This is only surprising until you release that the harm to safety and quality created by decreased competition exceeds any supposed benefits." Fourth, he said, licensing laws increase "recidivism." "In other words," Pearson said, "when you take away someone's ability to earn an honest living, you make it more likely that they will be forced to find other ways to support themselves." The Deregathon is a great idea that displays "outstanding leadership," praised Rep. Cord Byrd, R-Jacksonville Beach, in a tweet, but could be even better. "Next year, let’s have a ‘Repealathon,’ too!"